Looking for a way to spruce up your holiday decorating? An entry table can be a great place for seasonal decor. You see it every day when you come in the door, and it can be really easy when you reuse some basics such as hurricane vases and a large black frame. This is what I came up with for Valentine's Day last year. 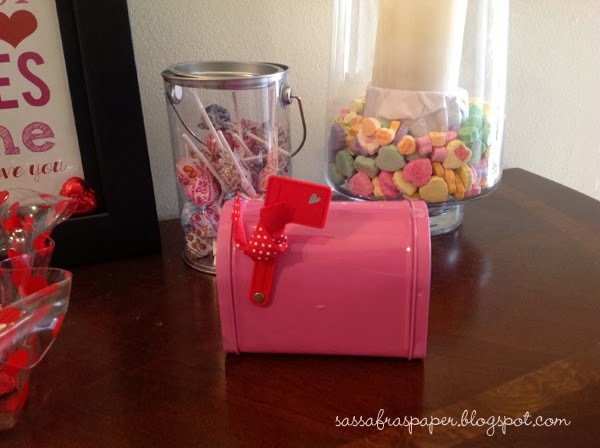 I filled my vases with conversation hearts, made a little garland out of book pages and scrapbook paper hearts, and set up some tiny mailboxes for my daughters to receive little love notes from me and their Dad. The mailboxes came from the $1 spot at Target and my girls loved checking them each day for treats. 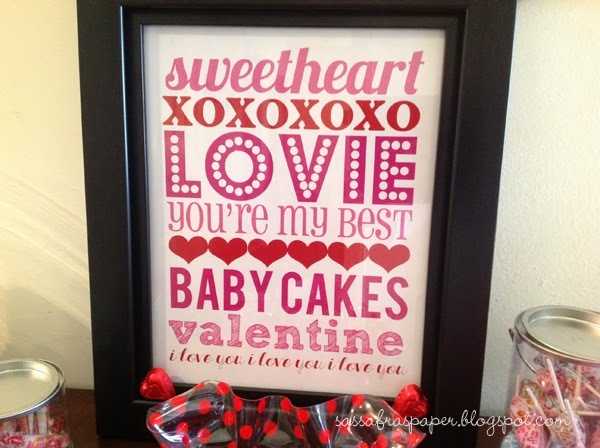 My favorite part of my display is using a large 11 x 14 black frame to showcase a Valentine's Day Subway Art. I created it in Photoshop using our family's favorite "love" words. I will use this frame over and over again during the year for holiday and seasonal printables. It's fun to find pretty quotes or artwork to give a fresh feel for the season. 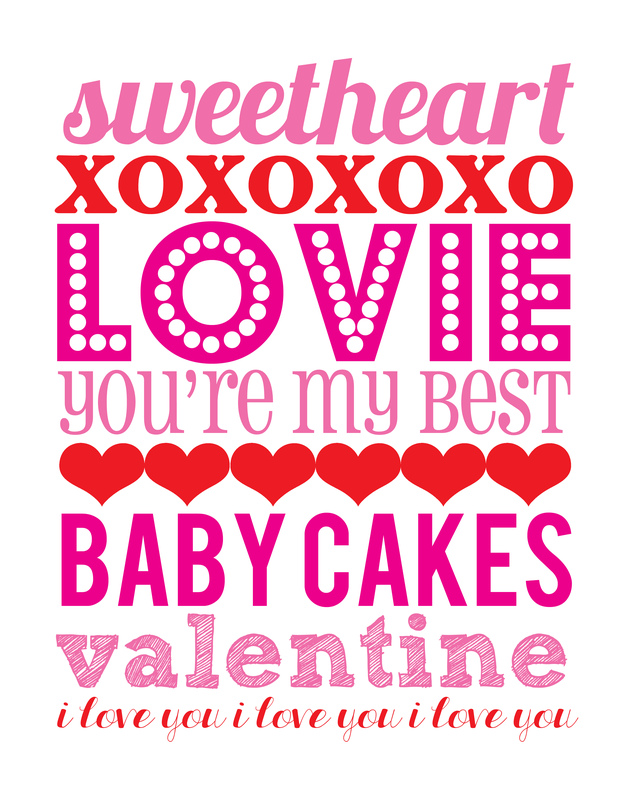 If you like this Valentine's Day Subway Art, you can download it for free from our website here. It's already sized for 11 x 14, but you could send it to your favorite photosite and have it printed as an 8x10 instead if you prefer. Just click the link to open the file, then right-click to save it on your computer. 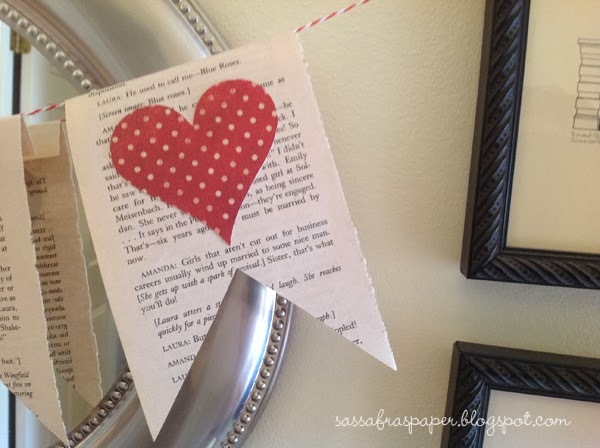 What's your favorite way to decorate for Valentine's Day? 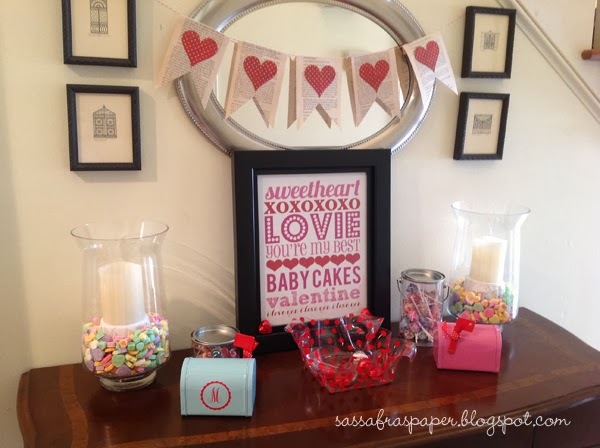 Follow Sassafras Paper's board valentine's day on Pinterest.